Maxwelton is an unincorporated community made up of many part-time summer residents on Whidbey Island, about 10 minutes southwest of the town of Clinton and the Clinton/Mukilteo Ferry, making it easy to get to and from the mainland. 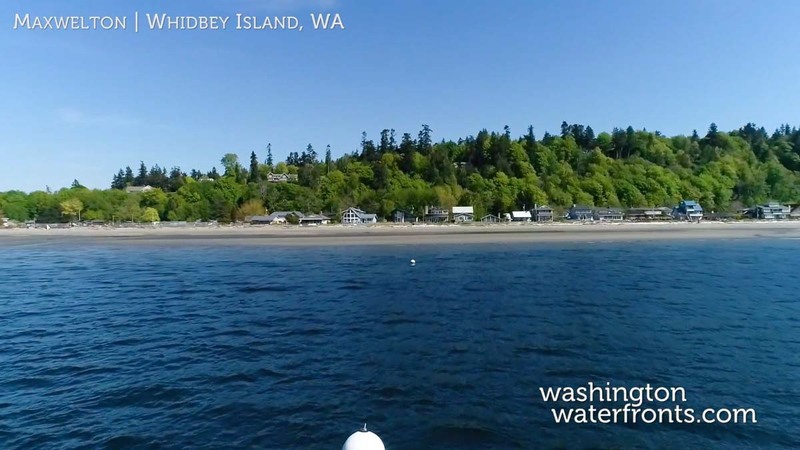 When you own Maxwelton waterfront real estate you’ll be steps away from one of the best public beaches on South Whidbey Island, Maxwelton Beach which offers outstanding beach combing, exploring tide pools, swimming, quiet strolls, picnics and wildlife watching. In fact, this is one of the best spots to view the Resident orca pods that venture south from the San Juan Islands in the fall and early winter months to chase the chum salmon runs into the lower Puget Sound. You may even be able to enjoy the show right from your own front door. While major shopping and dining is generally found further north on the island, there are multiple smaller markets and eateries, cafes, art galleries and even wineries within a 15-minute drive. If you’re into recreational pursuits, Maxwelton waterfront real estate may be one of your top picks. In the area, or right from home, you can enjoy everything from fishing, sea kayaking and boating to hiking and mountain biking. There are two golf courses within easy reach as well, the Useless Bay Golf & Country Club and Island Greens. With Maxwelton waterfront real estate, look forward to solitude without the isolation in an especially peaceful environment that provides the ideal setting for relaxation. Sip your morning coffee, or toast to the end of the day while taking in some of the best panoramic views of the water and the soaring Olympics beyond. From quaint cottages to spacious farmhouses with your own stretch of private beach for spending evenings around a bonfire, Maxwelton waterfront real estate is ideal for a vacation home or a year- round residence. Take advantage of our industry-leading tools to make your property search as easy as possible and be sure to register for a FREE account so that you can receive email alerts whenever new Maxwelton real estate for sale hits the market. If you’re seeking to sell your Maxwelton property, contact our Waterfront Specialists directly for a comprehensive listing analysis and to learn more about the cutting-edge marketing strategies we’ll use to sell your home quickly for top dollar!